Well dang! It has been a long time. 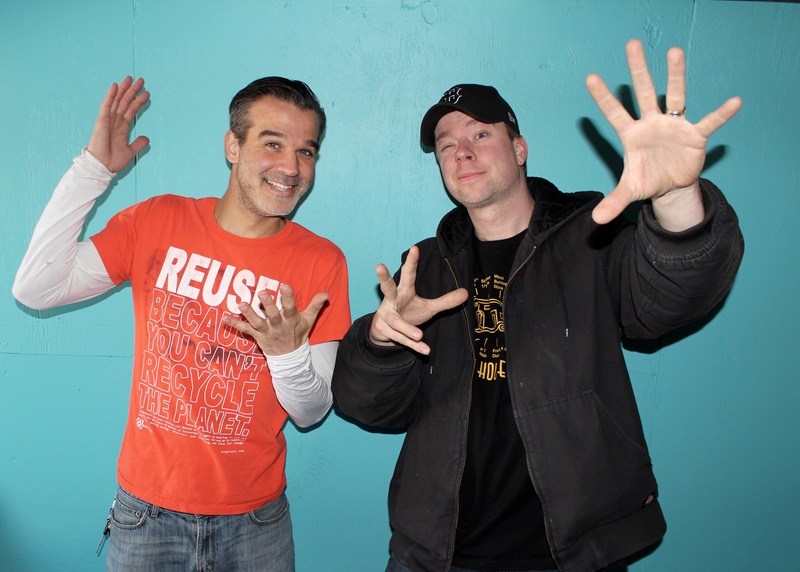 But if you’re connected to Deek and Alex on social media or in real life, you know that we’ve been busy! Once we got the Box Truck on the road, it's been hard to keep it off. We've been bringing it everywhere from tiny house festivals to schools to cinnamon roll shops. Scroll down below to see what's been going and everything we have planned! 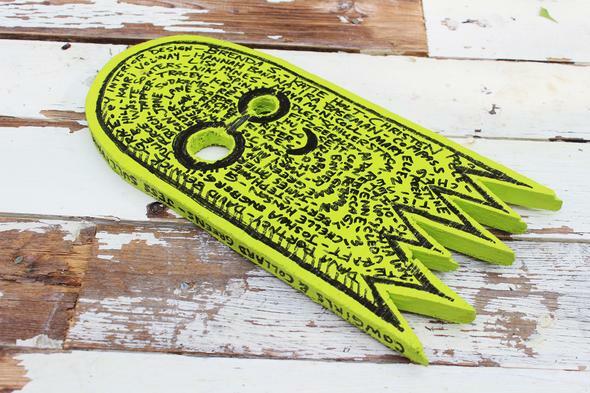 Also, some specific awesome news. Not only will the REUSE! 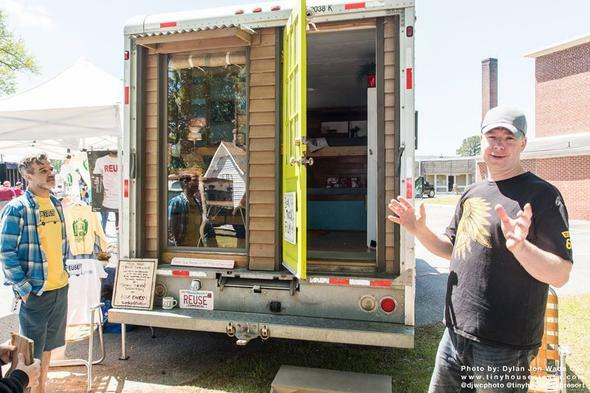 Box Truck be featured at the upcoming Tiny House Festival in Marshfield, Mass, but Deek and Alex are the Keynote Speakers! 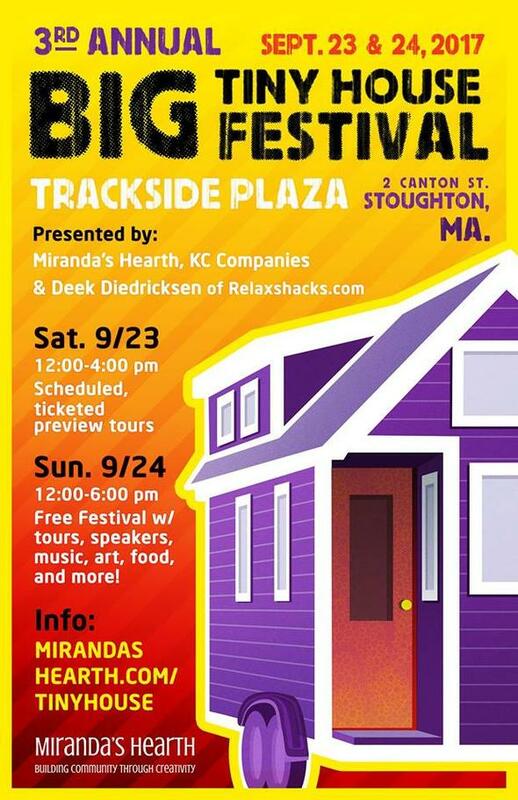 As many of you are near Massachusetts, we encourage you to all come and check the truck out, along with 20+ other tiny houses and a whole lot more. We talk on Saturday at 2PM! 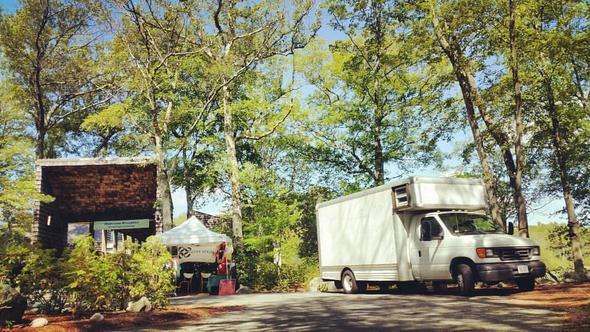 Besides the Marshfield Tiny House Festival, we have numerous events in Massachusetts and beyond where you can see the truck! 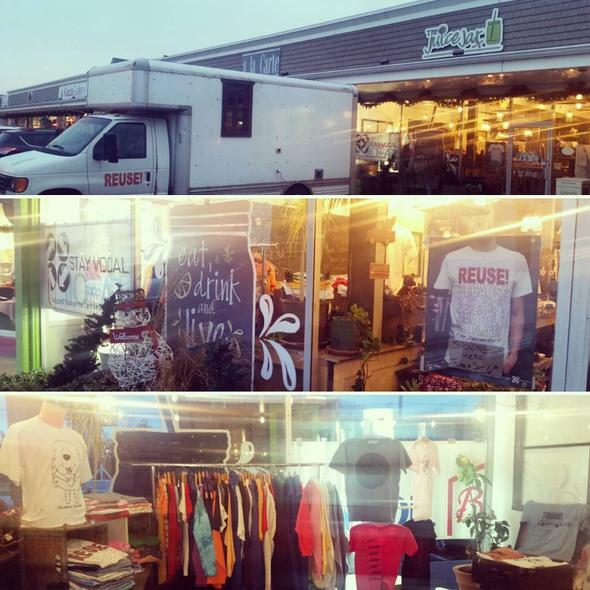 Starting in early October, Alex is taking the REUSE! 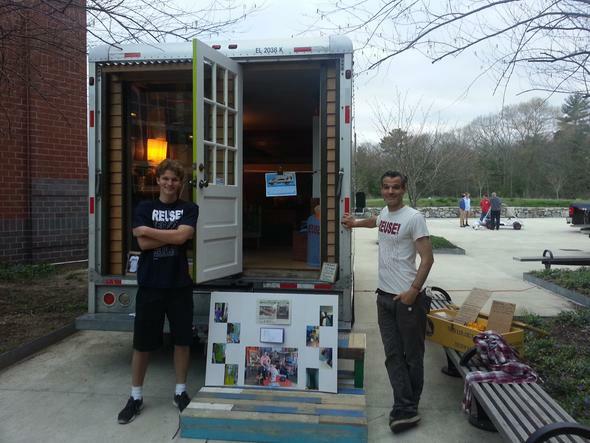 Box Truck Tiny House around the reuse roadshow for a few months. Currently, he's going MA ➡ NY ➡ NJ ➡ PA ➡ OH➡ IN ➡ IL ➡ ???????? ➡ MA. As he'll be somewhat flexible, he's open to visiting other places along the way too. If anyone has any suggestions for reuse organizations that he should check out, schools that want to bring the truck in and show the REUSE! Documentary, coffee shops to do a STAY VOCAL pop up shop at, please email us for info and rates at bookings@stayvocal.com. Oh yes, we ARE working on it. The film got a bit sidelined with the original momentum of the truck because we don't want to turn down any events and we've been getting so many offers! This project has really blossomed into two major projects. But this summer, Alex has been around Massachusetts and whipping out a storyline and storyboard for Jason. 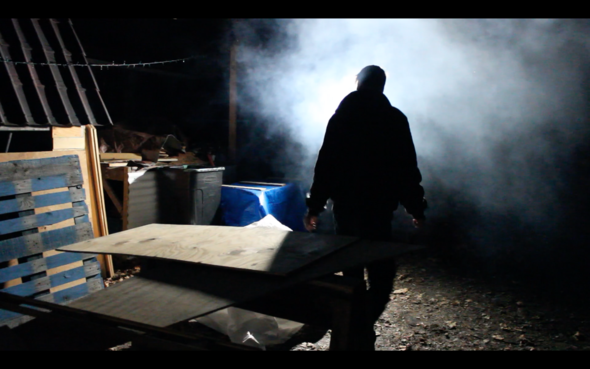 Also, one thing that we didn't expect when we started this project was how much footage we'd have. A rough estimate is at least 100 hours of raw footage, so yeah... there's a lot for us to go through! 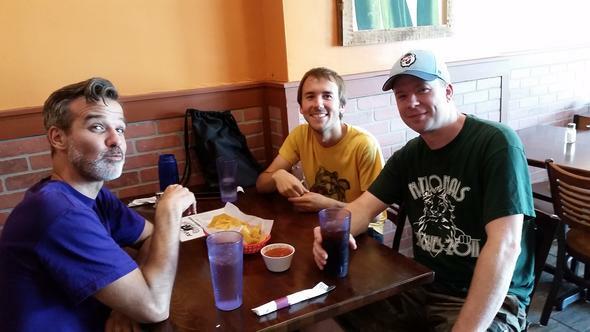 Here's a recent (and rare) photo of the three of us together, as well as a couple of stills from some favorite clips. As Alex has been saying for a while, the film's ETA is TBA. 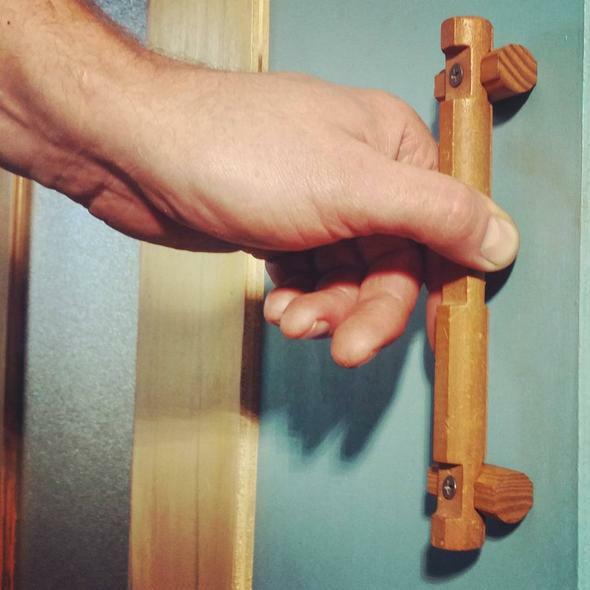 Inspiration from other tiny house owners. We have fulfilled almost all of the rewards, except for the film of course. But there are some of you who we have not been able to get in touch with. Please reach out if you haven't received your reward as we want to sort that out sooner than later. We do have 2 official sponsorship spots left. If you're interested in learning more about the sponsorship opportunities, and having your brand, band, or organization seen on our nationwide tours and at EVERY truck event, please email Alex at alex@stayvocal.com. OK. That's all for now. Have a great week everyone and thanks for the continued support! Hellllooooo everybody! Since it's been a while, HAPPY NEW YEAR! We hope you enjoyed some relaxing downtime during the holiday season. We most certainly did. After a month of travels, Alex got back to Massachusetts with the truck in late December and it has been resting since. But Alex is getting that travel itch and had his fill of snow and cold. That said, the REUSE! 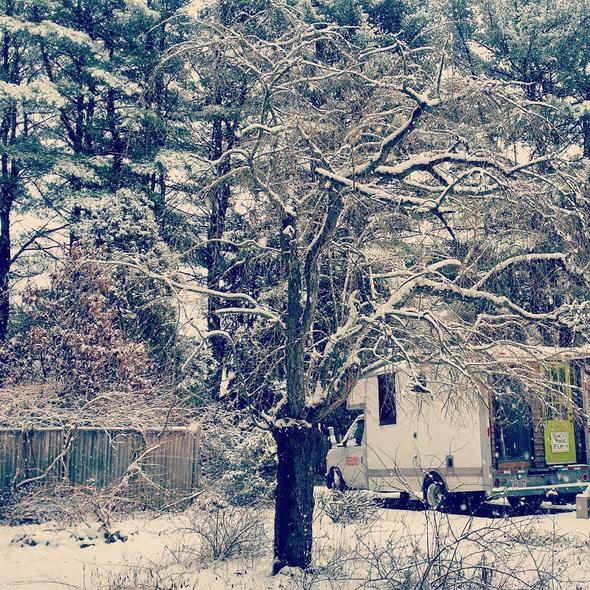 Box Truck Tiny House is getting ready to hit the road in early February through March. 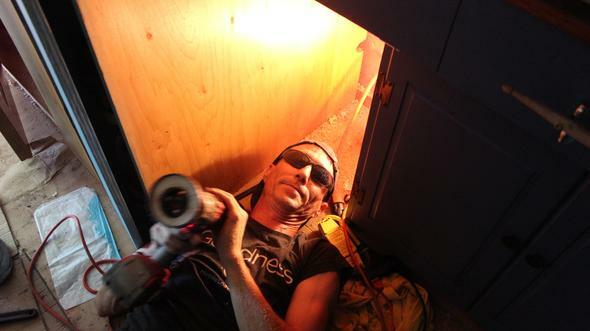 Alex will be taking his reuse roadshow south for the winter. The route is basically MA ➡ MD ➡ VA ➡ NC ➡ SC ➡ FL ➡ GA ➡ TN ➡ NC ➡ MA. As he'll be somewhat flexible, he's open to visiting other states along the way too. If anyone has any suggestions for reuse organizations that he should check out, schools that want to bring the truck in and show the REUSE! Documentary, coffee shops to do a STAY VOCAL pop up shop at, please email us for info and rates at bookings@stayvocal.com. In other news, we've launched a featured artist series in the box truck. Watch this video and if you or someone you know is an artist, send us an email for details on how to be featured. Alex, Deek, and Jason have all begun the beginning editing stages: going through the loads and loads of footage that we have! All three of us have been filming, so there is a ton to watch. We down to only 3 official sponsorship spots left. If you're interested in learning more about the sponsorship opportunities, and having your brand, band, or organization seen on our nationwide tours and at EVERY truck event, please email Alex at alex@stayvocal.com. Hellllooooo everybody! The Box Truck Team has been extremely busy for the past month and the second phase of the project is going full force. On November 8th and 9th, Deek and Alex were at the International Greenbuild Conference in Boston. The truck and display were unlike any other and it was a huge hit. In those two days, 500-1000 people took a tour of the truck! 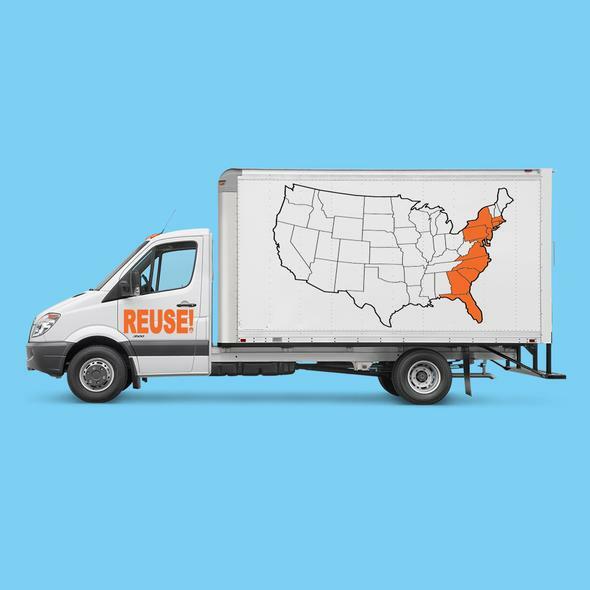 Since mid-November, Alex has been on the road and has taken the truck to Rhode Island, Maryland, North Carolina, West Virginia and Pennsylvania. He's now heading back to Massachusetts and will pass through Connecticut and Rhode Island. 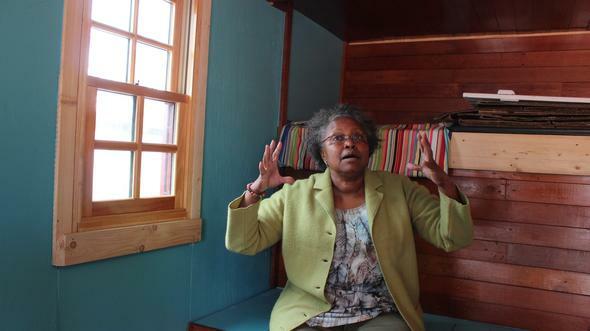 He's been hosting events at creative reuse centers, parks, museums, businesses, houses, etc. And the response has been overwhelmingly positive! Alex even stopped at a random U-Haul location and the employees freaked out in excitement at what we did. 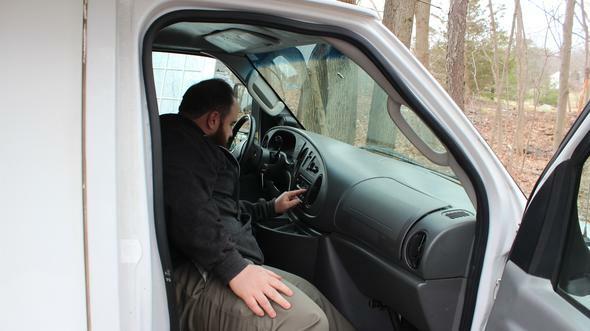 Alex was on the radio talking about the truck in Hillsboro, North Carolina. 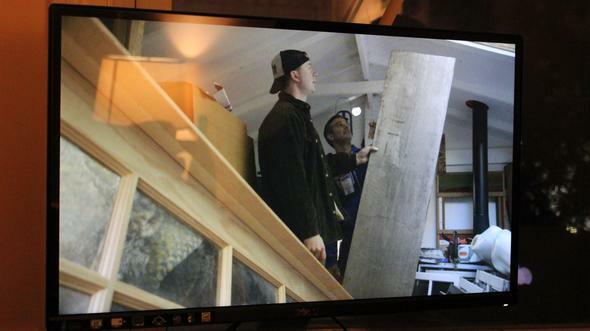 Behind the scenes, the team has been forming the storyline and compiling all the footage . We have a ton! The Box Truck Team is pretty stoked on our roster of official sponsors. And we can't wait to see who else fills the four open slots. If you're interested in learning more about the sponsorship opportunities, and having your brand, band, or organization seen on our nationwide tours and at EVERY truck event, please email Alex at alex@stayvocal.com. 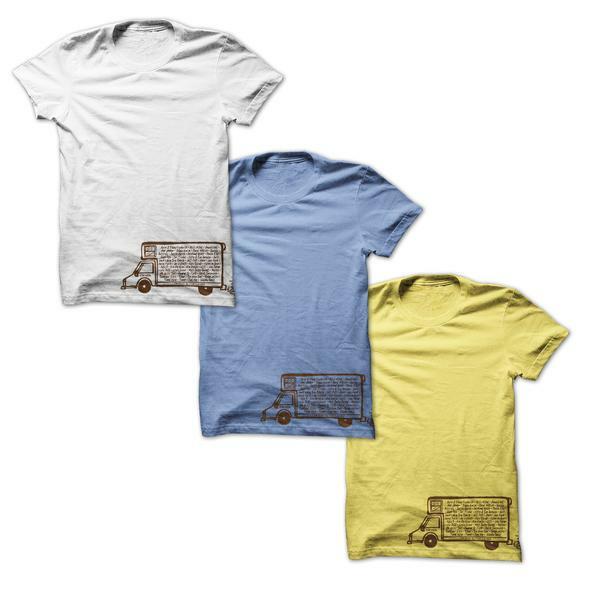 We released a second Box Truck themed T-Shirt. It's available on the road and also online here: http://shop.stayvocal.com/t059-p565.html. OK. That's all for now. Have a safe and great holiday season everyone and thanks for the continued support! As Alex winds down his first trip, we're already booking a lot more. We have numerous events planned for the new year, with a lot more coming. If you're interested in setting up your own event with the truck at your school, event, business, etc. please email us at bookings@stayvocal.com. We’re open to all sorts of event ideas! Hi everyone. We just got 150 free tickets to give away for a huge event that the Box Truck is part of! Want one? So, on November 8th and 9th, (next Wednesday and Thursday) we will be showcasing the Box Truck at the Greenbuild Expo in Boston. This event is THE premiere conference for green building in the country. How big is it? Well, the speakers at the event are Bill Clinton and Neil deGrasse Tyson! 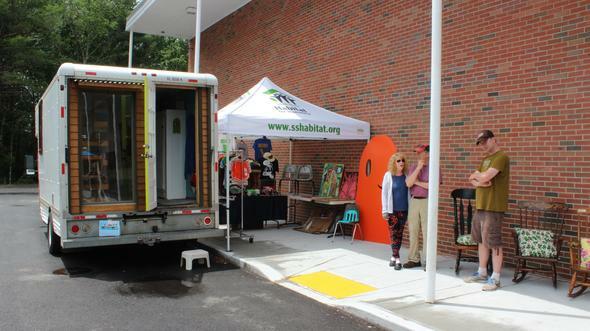 And since we're showcasing the truck, we're allowed to invite 150 people who are in the green, tiny house, and building industries, which many of you are. Please note that these attendee expo hall passes are attendee badges and will only allow access to the show floor during show hours. You'll be able to see the hundreds of booths, including ours and the truck, but you won't be able to see the speakers. OK. We hope to see some of you there. Thanks for the continued support! If you're interested in setting up your own event with the truck at your school, event, business, etc. please email us at bookings@stayvocal.com. We’re open to all sorts of event ideas! Hey everyone. Exciting news. At the time of this writing, the Box Truck teaser video that we released last week has been viewed over 44,000 times on Facebook! And in addition, we've gotten numerous requests for events from around the country! We consider this a community effort, so let's all be excited and keep the momentum going! * If you're interested in bringing the truck to your town, school, event, business, etc. please email us at bookings@stayvocal.com. We’re open to all sorts of event ideas! Thank you all so much for the continued support! We. Are. Stoked! November 17-? / Durham, NC - More info soon! If you're interested in bringing the truck to your town, school, event, business, etc. please email us at bookings@stayvocal.com. We’re open to all sorts of event ideas! OK, that's it for now. Thank you for the continued support! With the Box Truck build about 93% done and phase #2 of the project beginning (getting on the road), we're fulfilling more of the rewards. That said, we've created the Reuse T-Shirts for those that chose that reward and we've decided to make some extras. Please Note: If you have images turned off in email, click "View images" to see the photos below. Here are the next few confirmed Box Truck Appearances with more in the works. 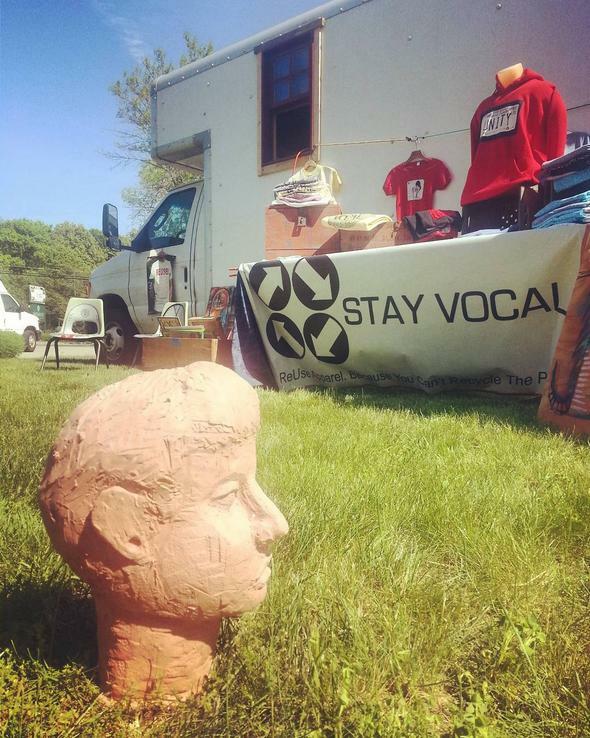 If you're interested in booking the Box Truck with Alex / Deek for an event or school, please email bookings@stayvocal.com. Thanks everybody. We truly appreciate your support with our project. If you have any questions, please feel free to reach out to Alex at alex@stayvocal.com. 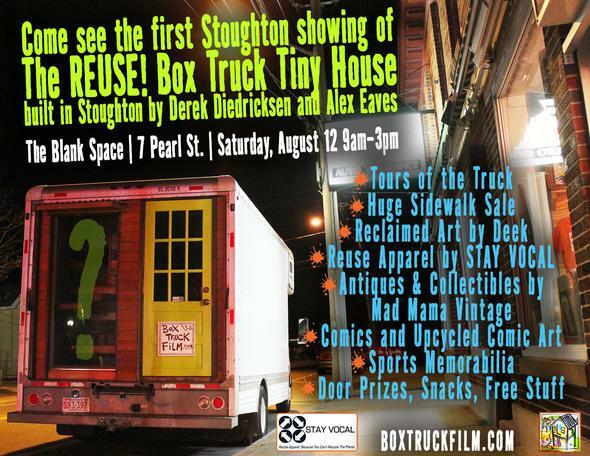 THIS SATURDAY: Come see the Box Truck! Hey everyone, putting this draft together, we realized just how much has gone on in Box Truck World since the last update. Here's a chronological photo journey! 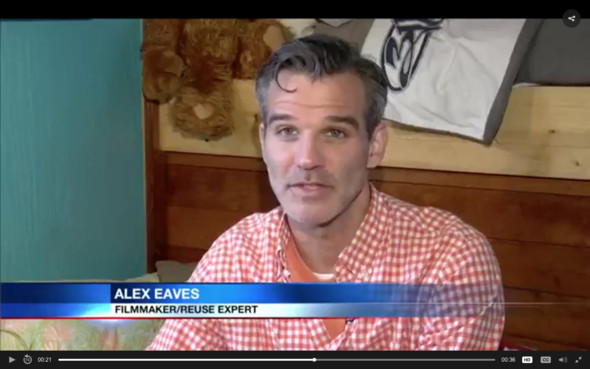 Our friend Jody Mabary, the Mississippi feature in Alex's REUSE! Documentary, visited Stoughton with his friend and helped us for a day. 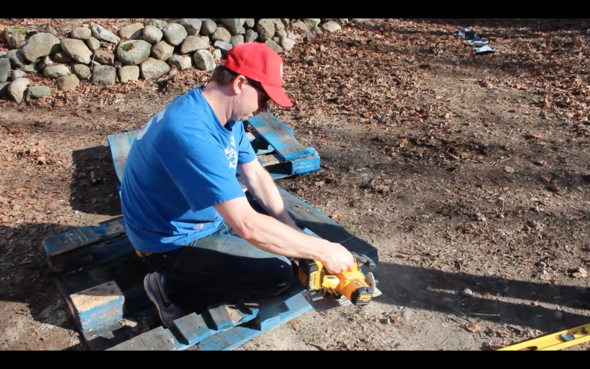 Using scrap pieces from the Box Truck build, Deek taught a local cub scout troop basic box building skills. 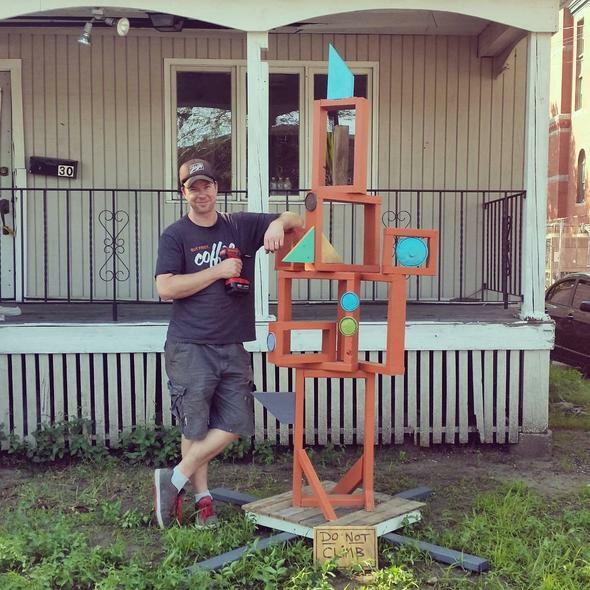 Afterward, they made a crazy sculpture with the boxes that is now outside of the Stoughton House of Brews. 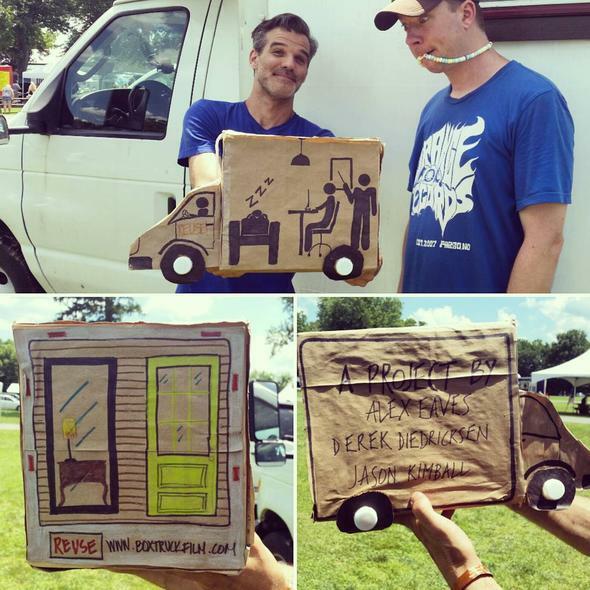 We got pretty creative with their door handles and drawer pulls in the Box Truck. Here's one of them. 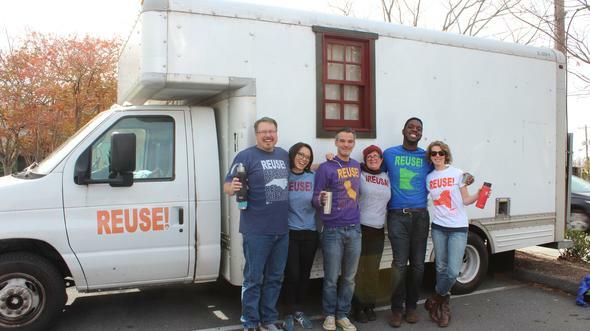 We took the Box Truck to the Hanover ReStore, where our friends were celebrating their first year in business. Speaking of celebrations, Alex and Deek celebrated their extremely close birthdays at the end of June. We got some pretty relevant license plates for the Box Truck. 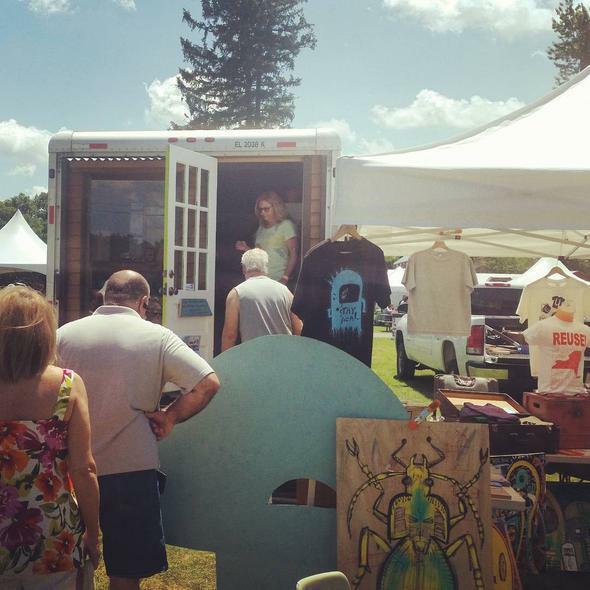 The Box Truck made its first Tiny House Festival appearance at the Tiny House and Green Living Freedom Fest in New Paltz, NY. The response was overwhelmingly positive. We were stoked to hear so many people say "This is my favorite house here!" Another adjective frequently used is "spacious." For 120 square feet, that's a compliment. Ha. Our friend Justine made us an amazing piñata, but we couldn't destroy it. It's now our donation jar. We had our first screening of the REUSE! Documentary on the side of the truck at a farm in Connecticut. Stoked to see how well the truck worked as a movie screen! 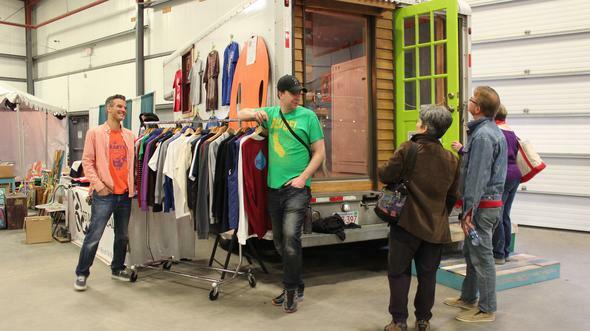 And following a guided tour of all of the reuse methods in the truck, it made for such a great event! Our friend Mike from Thayer Plumbing and Heating helped out with the pipes for our sink. 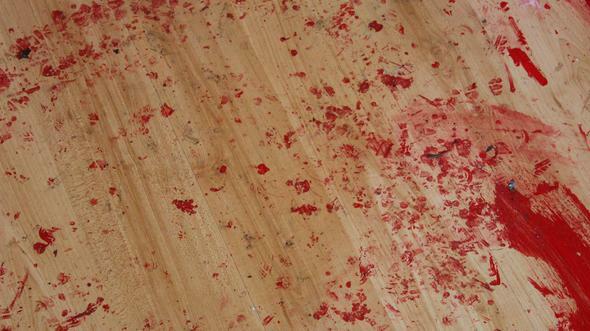 Any guesses what the sink was? 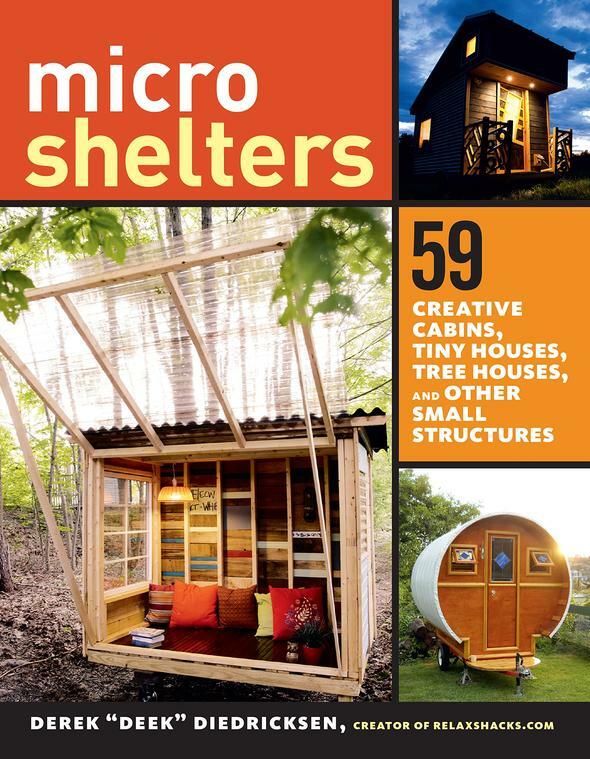 Deek has been busy finishing the follow up to his "Micro Shelters" book. 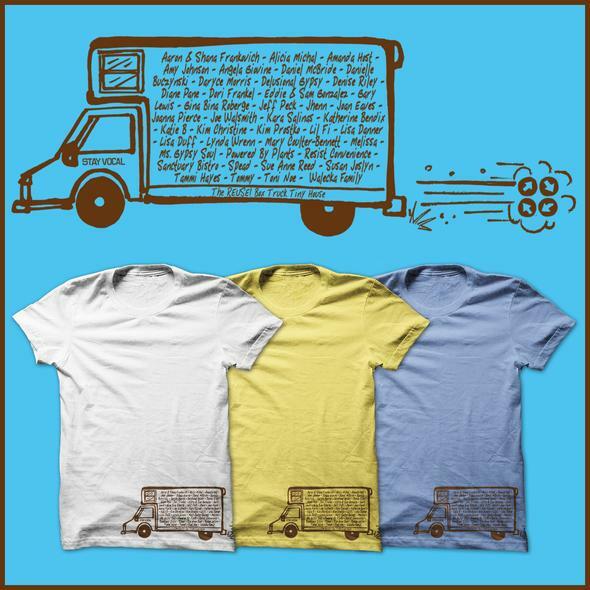 The Box Truck will be featured in it! 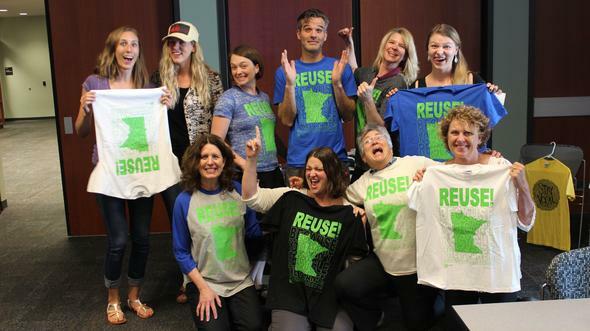 Alex traveled to Minnesota to speak to local government recycling managers. His reuse message was a hit and we're aiming to have the Box Truck there in 2018. With the Box Truck being near complete, we'll be able to fulfill most of the remaining rewards. Thank you so much for patience with that. Thanks to so much community support with supplies and work, we've done a great job at utilizing the initial funding we got. But since it was only about half of the budget we originally needed, we're currently almost out of our initial amount. And with the final building and all of the upcoming filmmaking expenses, we'll be continuing our fundraising. If you know anyone who would contribute to the campaign, please share our page with them. Beyond monetary funding, we are still in need of some specific things. The list is below, but please see the right hand side of our page for more details on how you can help. And if you can share the project with friends and family who aren't yet involved, we'd love it! 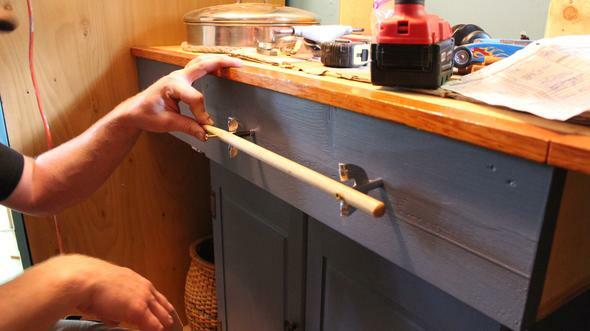 We’re almost done with the kitchen and we have a sweet reuse for the sink. We'll have a photo once it's complete. 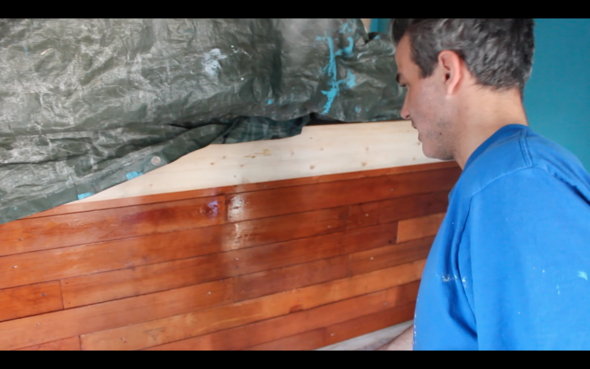 We’re in the midst of waterproofing the bathroom, because, yes...there will be a shower. We’ve finished numerous accessories, like the coffee table and shelving. Sophie came to help work on the roof and kitchen. 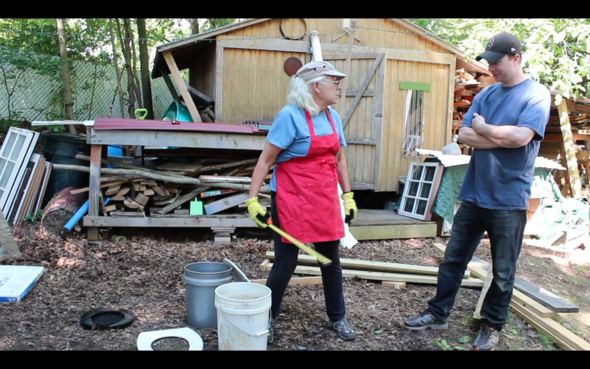 Vera came down to help build the composting toilet. Our T-Shirt design reward will be released soon along with a second design for non-backers. The truck is about 77.7% done with the majority of things being decorative and plumbing related. As we finalize the truck, we are still in need of some specific things. In addition to money (to help with the final building and all of the upcoming filmmaking expenses), there are some non monetary items that we need. The list is below, but please see the right hand side of our page for more details on how you can help. And if you can share the project with friends and family who aren't yet involved, we'd love it! I started writing that last night after a very successful event in Hanover, MA. 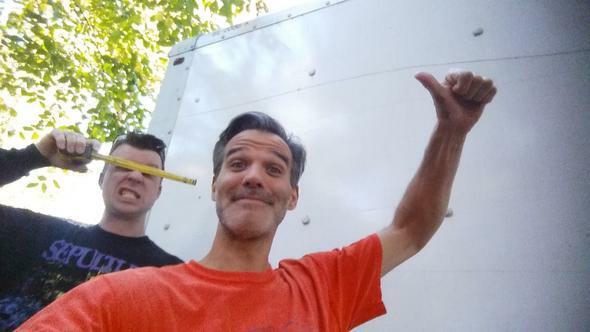 My nephew Will has been helping Deek and I with the Box Truck for his high school Humanities Project. Last night, the students were presenting their projects at the school and of course, we had to bring the truck. My nephew and the truck were definitely a hit! Let's hope his grade reflects that. Ha. 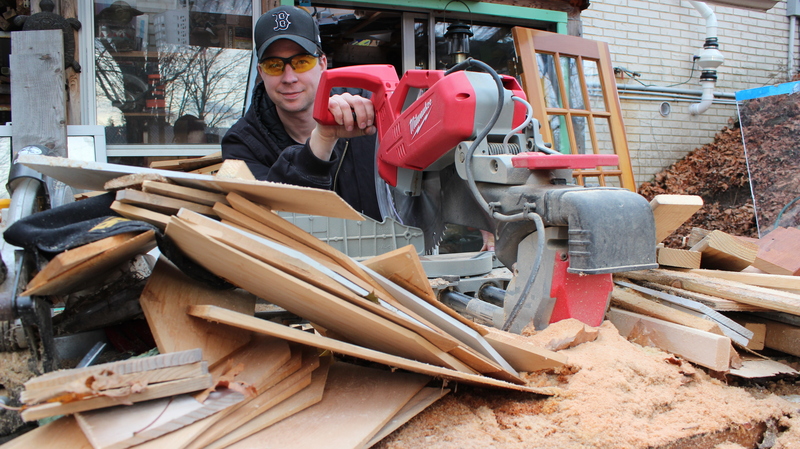 After this showing and last week's Vermont Home and Garden Show appearance, our team is putting the truck back in the work site and we're more than ready to make the last push forward. The response that we've gotten at just the partially built truck has been phenomenal. 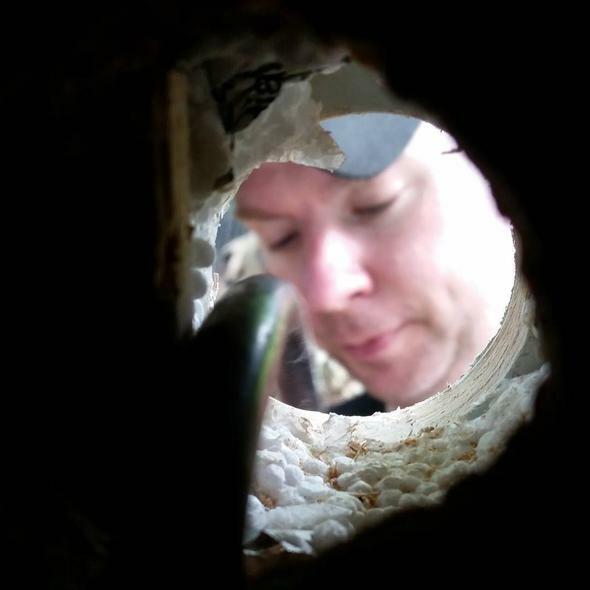 It's hard to put into words how it feels when you overhear people saying things like, "Wow, this is beautiful," or "I could live in this for sure" after having worked on it for months in cold, cramped, and dirty conditions. 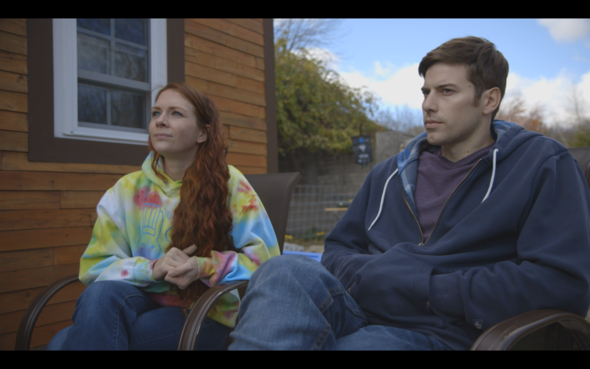 Even after we started well under our original goal and things have taken longer than expected, we're well on our way now and the truck and follow up film are going to be awesome! We're about 60% done with the truck build (finishing the bathroom and the kitchen are next), but things are moving faster and everything is starting to really come together. Maybe it has something to do with the weather, longer days, the amount of coffee we drink, I don't know. And many any other aspects of the project are coming along too. More rewards are being fulfilled and some of our backers have come out to help with various aspects of the project like painting, giving their input on the build and helping install a better stereo in the truck cab. Stay tuned! In the next few weeks, we'll be releasing a short video trailer for the project and our backers will be the first to see it. Also, one last thing. 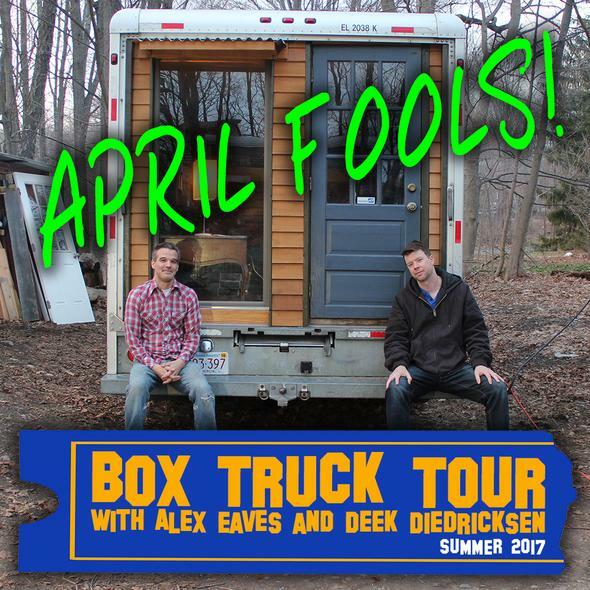 We just want to make sure that everyone knows that our April 1st update about the Box Truck Tour was an April Fool's Joke. Many of you got the joke, but we know from talking to some of you, a few of you didn't. I guess that means we did a good job? Ha. 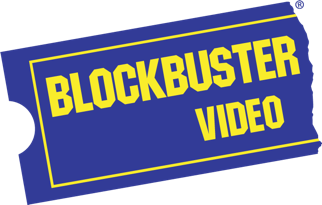 We thought having a tour visiting Blockbuster Video stores (that don't exist anymore) would be obvious enough . I think if you go back and read that post, you'll see all of the fun we had with it. But take note, all of those crazy city names are real! 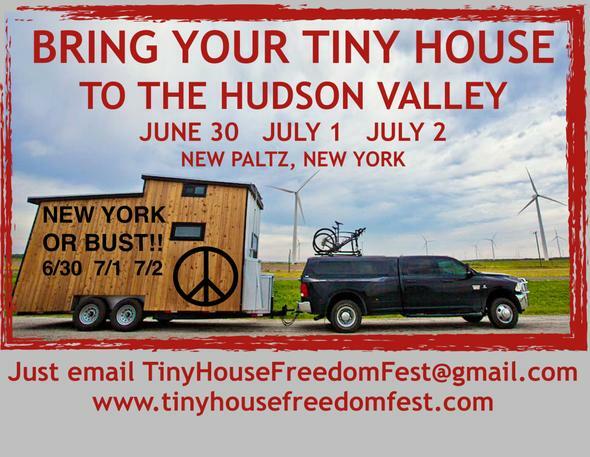 And Deek and I are actually taking the truck to New Paltz, NY for the Tiny House Freedom Fest at the end of June. So, there was a small part of reality in that post after all. Thanks everybody. We truly appreciate your support with our project. And as we still haven't met our original goal, please continue to share our project with your friends, family and social media community to help us reach it. The more funding we raise, the more awesome we can make happen. If you have any questions, please feel free to reach out to Alex at alex@stayvocal.com. We have some exciting news. 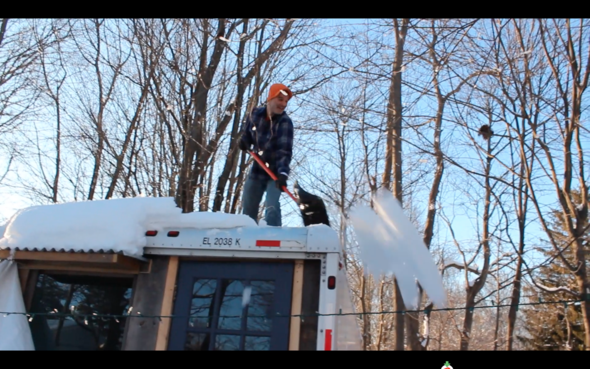 The Box Truck team was asked to attend the Vermont Home and Garden to show off the progress of the truck. And well... we're here! Well, that's it for now. 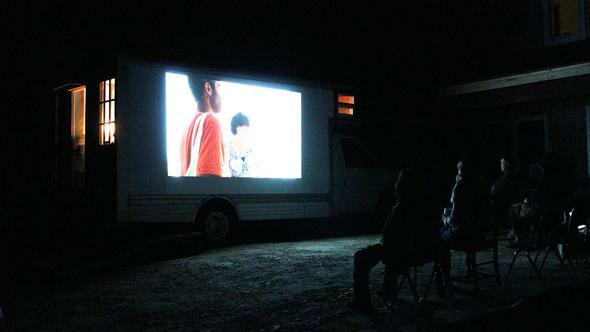 Thanks for your continued support of the Box Truck Film. Please continue to share our project on social media, email, and text to help us reach our original goal. The more funding we raise, the more awesome we can make happen with this project. If you have any questions, please feel free to reach out to Alex at alex@stayvocal.com. Please read our official press release below for full details and tour dates. 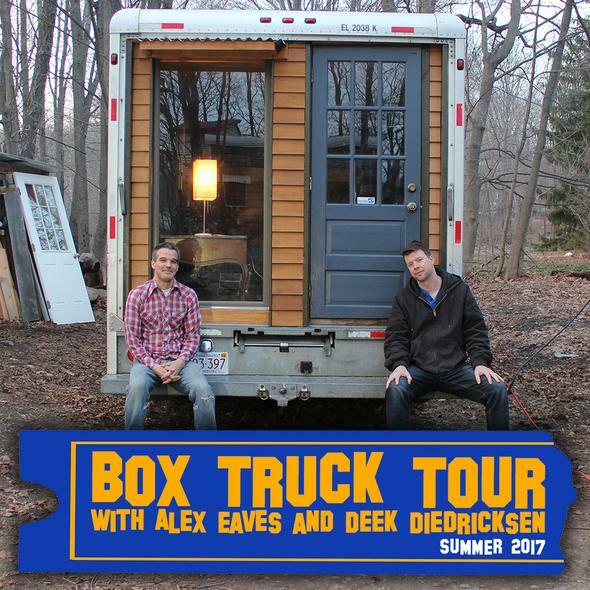 Stoughton, MA, April 1, 2017 – Alex Eaves, a Reuse expert and filmmaker and tiny home builder Derek “Deek” Diedricksen are teaming up with Blockbuster Video for a screening and promo tour of the Box Truck Film (working title), which will be co-directed by high school basketball phenom, Jason Kimball. This partnership has been months in the works, as the team set out to drive to all 50 states. 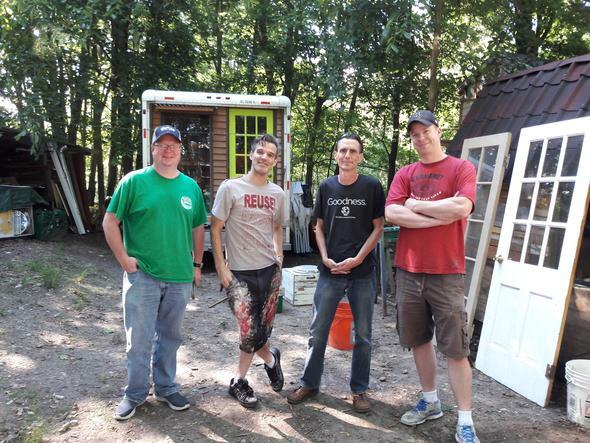 Eaves and Diedricksen will be transforming a box truck into a mobile reuse education center and living space, combining their knowledge of reusing discarded cardboard pizza boxes and tiny houses. This second life for the truck will provide a unique educational tool for people of all ages, except for toddlers without glasses, to see the benefits of reusing for people, our planet, and our wallets and how they can reduce waste in their own daily lives. At each stop, the truck will be in the parking lot of the Blockbuster store for tours, while Diedricksen and Eaves lead talks and a screening of the film inside. The tour will begin and end in Massachusetts, where both Diedricksen and Eaves live. In between that there will be quite the journey. Tour dates are below, but you can get updated info at boxtruckfilm.com. This event that starts on June 30th seems quite fitting too, as Deek's birthday is June 28th and Alex's is June 29th. And to all of our friends in the Tiny House community, the festival is looking for more people to come out with the houses. Hope to see you there! 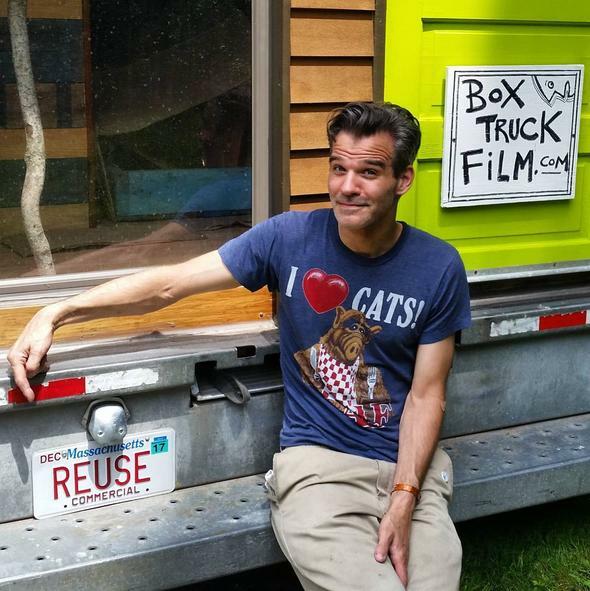 Thanks for your continued support of the Box Truck Film. Please continue to share our project on social media, email, and text to help us reach our original goal. The more funding we raise, the more awesome we can make happen with this project. If you have any questions, please feel free to reach out to Alex at alex@stayvocal.com. Before anything else, we're still waiting for some of your responses to the reward surveys that we sent out. If you didn't see the email, please search your inbox (or maybe spam folder) for the subject "Your Box Truck Film Reward." Thanks! So, as the snow comes down on top of the truck this morning, it's a good time to recognize the various situations that we deal with. 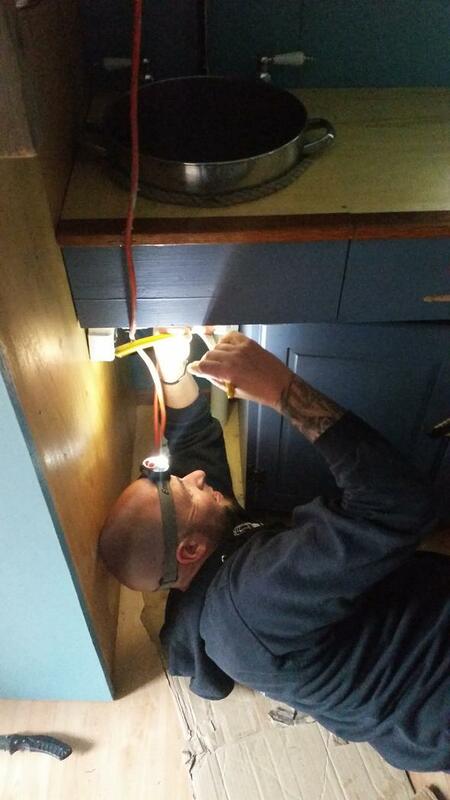 With super busy schedules, we have to be ready to work in any conditions and at all times of day. And since we got back from California in February, we certainly have. It's cold. Its snowy. It's hot. It's warm. It's snowy again. It's crazy. But, we're making it happen! 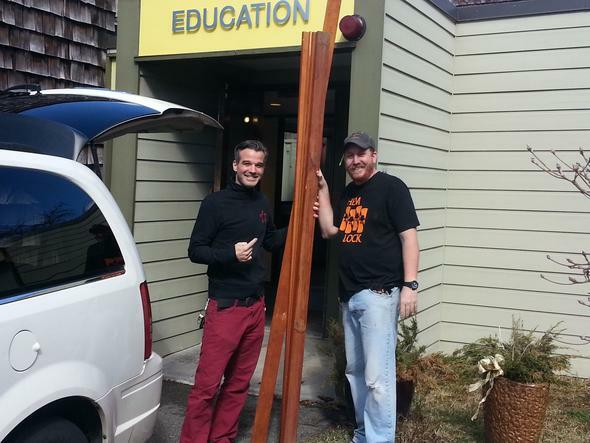 But even when Deek and Alex are traveling, the project goes right along with them. 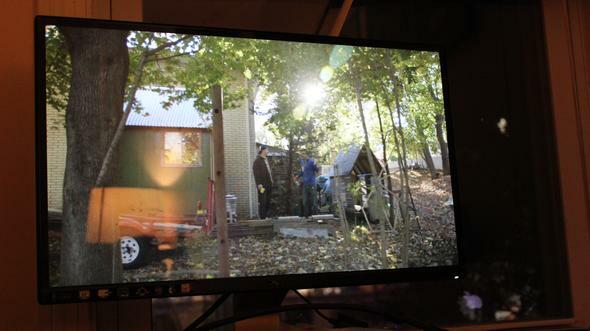 Last week, Deek was at a tiny house convention in Georgia, where he took some time to promote the film. And Alex was at a waste management conference in Wisconsin, where he connected with a totally new audience, many who are now supporters of the film. Also, we wanted to let everybody know that we're in the homestretch of the core building of the truck and now it's on to the furniture building and decorating. That said, we have to send a big shout out to Bill Wilson and Fuller Craft Museum. They just gave us a second batch of really nice cedar from the museum's original build in the 1960's. Below is a glimpse of how we're using it in the truck. Hi everyone, Alex here. This is just a quick update to let you know that Deek and I are both now back from our successful work excursions in California. 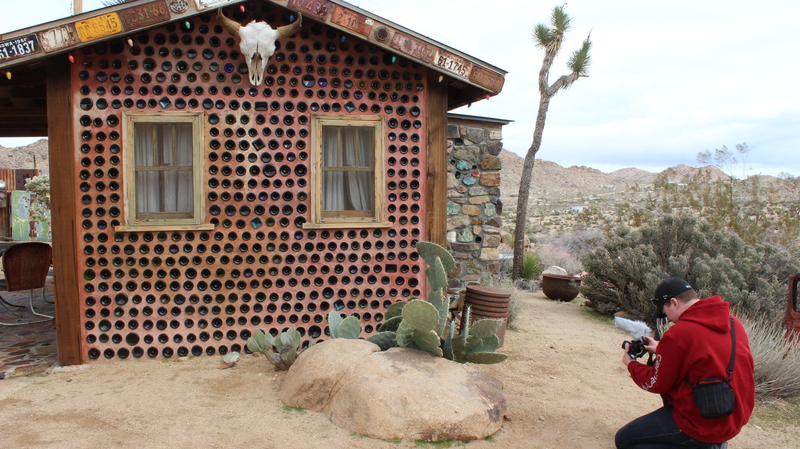 While we were together out there, we filmed some inspirational dwellings for the Box Truck Film at an amazing "reuse resort" in Joshua Tree. This house was made of 7500 glass bottles! Another update: We've started painting the inside of the truck! Exciting news! We got all the plywood that we needed (and a lot more), so that part of the ceiling is done and the painting can commence! More exciting news! Both Deek and Alex are heading to California! 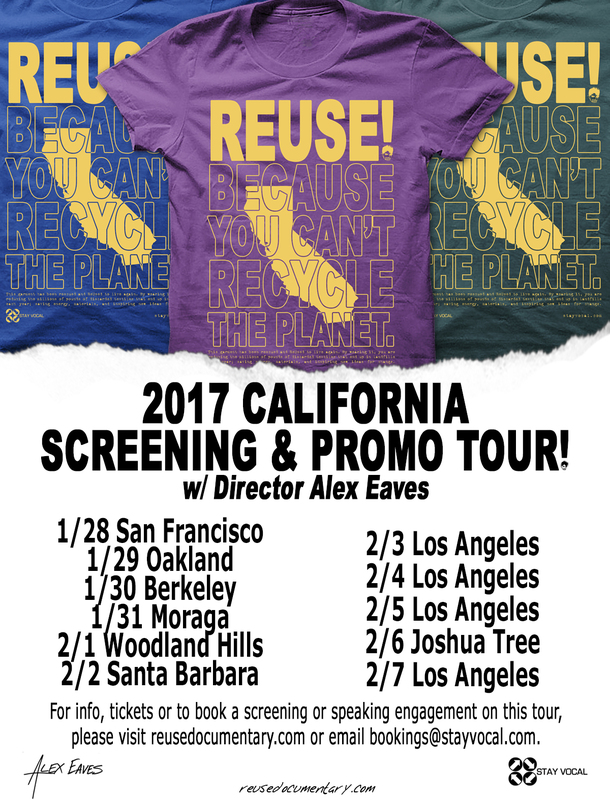 Alex will be on a screening and promo tour for the REUSE! 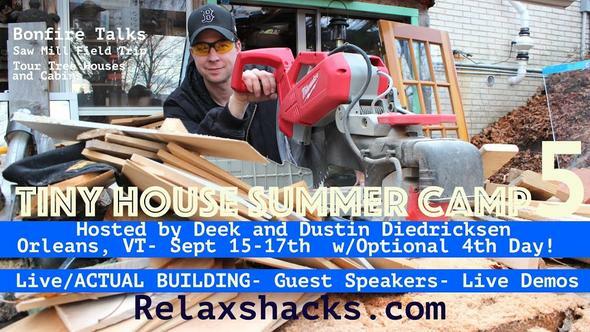 Documentary and Deek is doing a Tiny House building workshop in Los Angeles. Alex will actually be speaking at that event too. The flyers for the events are below and it would be great to meet some of you Californians in person if you can make any of the dates. Check out reusedocumentary.com and relaxshacks.com for more details. Also, we're still waiting for some of your responses to the reward surveys that we sent a couple of weeks ago. If you didn't see the email, please search your inbox (or maybe spam folder) for the subject "Your Box Truck Film Reward." Thanks for reading this and for your continued support! Please continue to share our project on social media, email, and text to help us reach our original goal. The more funding we raise, the more awesome we can make happen with this project. If you have any questions, please feel free to reach out to Alex at alex@stayvocal.com. 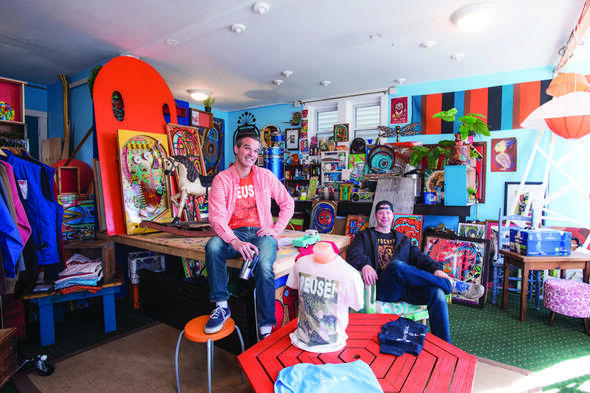 Alex and Deek were featured as "People to Watch" in South Shore Living Magazine. The photo above is from the article, which you can read here: https://ssliving.com/people-to-watch/. Our good friend Joe from Fortua was featured too! A couple of weeks ago, we sent out emails to anyone who chose a reward for their contribution. Some of you have not responded yet. Please respond as soon as possible. If you didn't see the email, please search your inbox (or maybe spam folder) for the subject "Your Box Truck Film Reward." It would have come in around 12/29. 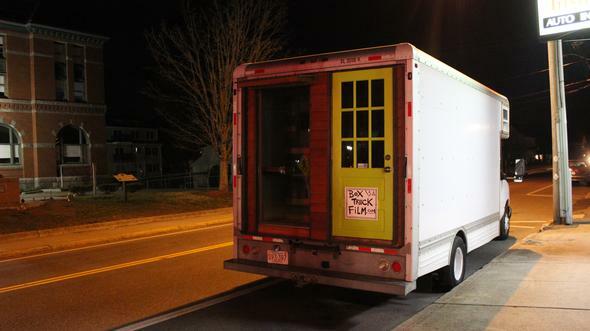 To fit with our layout in the Box Truck, we are in need of specifically 3/8" plywood that is at least 26" wide. We need about 5 full sheets worth. 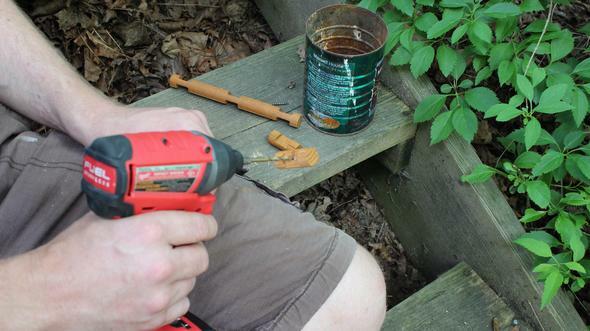 Maybe you have some leftover from a construction job in the basement or garage? Maybe you have a structure that needs to be deconstructed? If you have anything and are close(ish) to Stoughton, please let us know and we can work something out. Thanks for reading this and your continued support. Please continue to share our project on social media, email, and text to help us reach our original goal. The more funding we raise, the more awesome we can make happen with this project. If you have any questions, please feel free to reach out to Alex at alex@stayvocal.com. Exciting News. We have our first official teaser video! Please continue to share our project on social media, email, and text to help us reach our original goal. The more funding we raise, the more awesome we can make happen with this project. Thank you all for your support and if you have any questions, please feel free to reach out to Alex at alex@stayvocal.com.